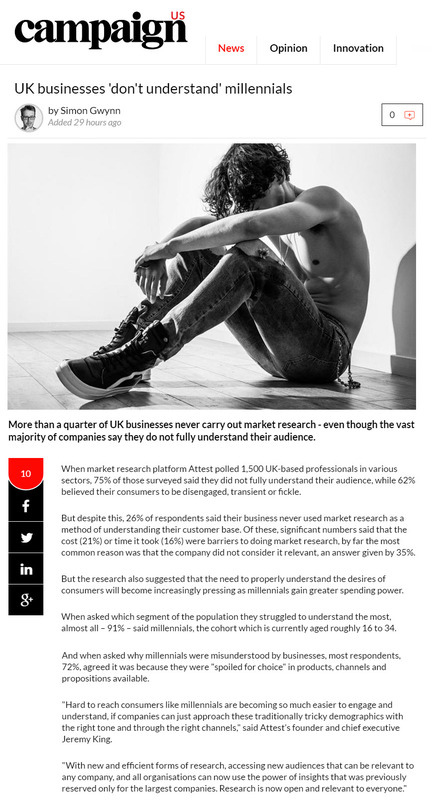 Our coverage round-up comes from our lovely client, Attest (AskAttest.com) after they received two amazing pieces of coverage. 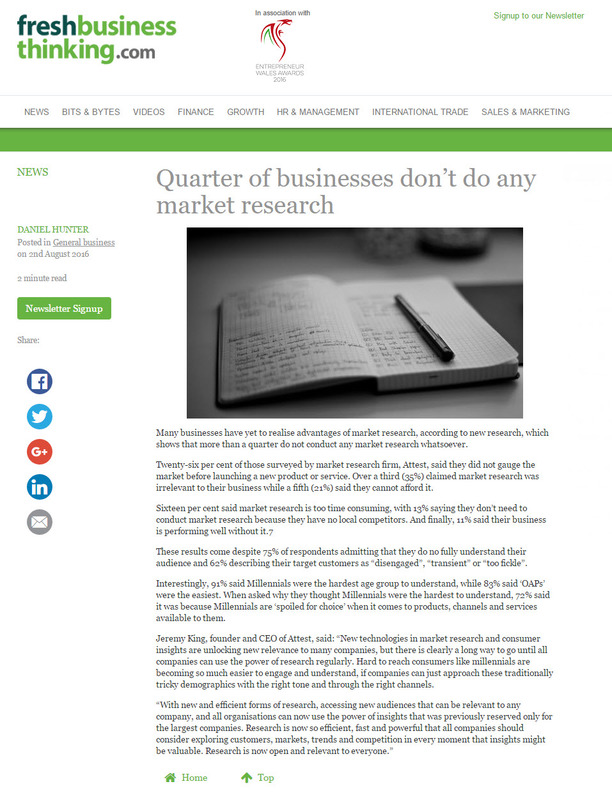 The coverage came after they found that a quarter of businesses don't do market research. 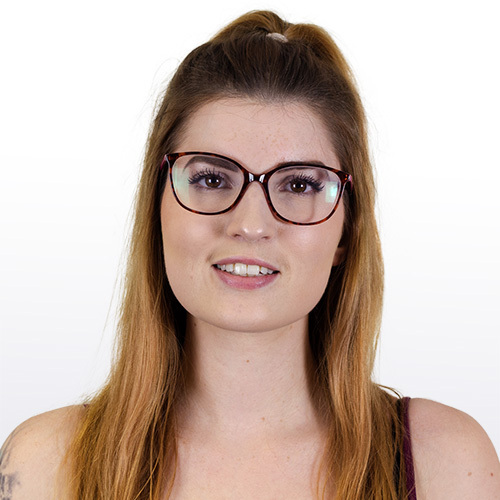 Furthermore it was found that 91% of businesses find millennials the hardest to audience to understand.